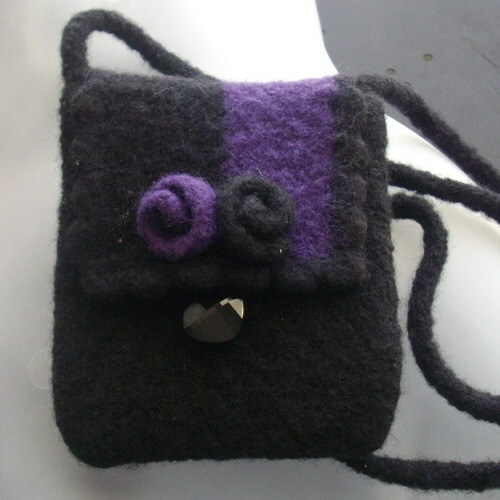 This little necessities purse is in felted wool. Predominantly in black, there is a purple section on the front, and two little flowers on the flap, one black, one purple. A black button fastens the flap. Perfect for your daily necessities, lipstick, comb, tissues, change purse. Buy more than one item from my shop and I shall refund any excess shipping via Paypal.